We keep chasing the summer and today we are back together again with Wayne in this wonderful location La Reserva Beach club in Sotogrande Spain to meet the team behind Jet Wake B200 Jetboard. Mr. Lee and his team flew all the way from South Korea to meet us! Now this is commitment! They stand behind their product and we were glad to test it, review and give our suggestions for future improvements of this promising new board. 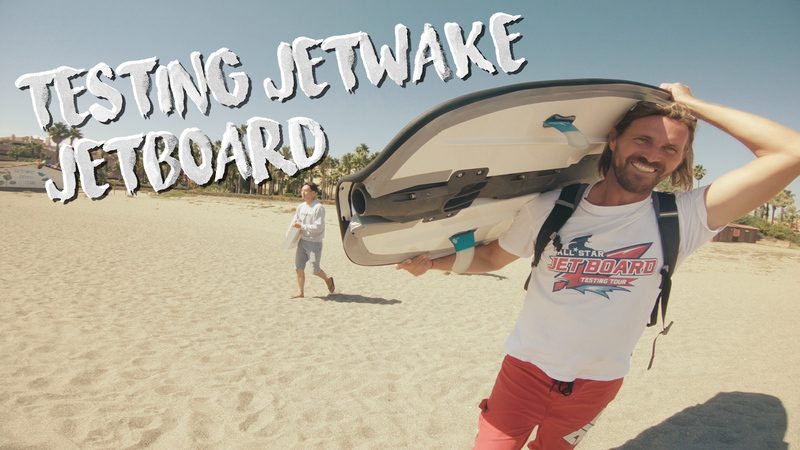 Enjoy our exclusive preview of Jetwake B200 Jetboard from Korea!